Current Analytical Chemistry publishes full-length/mini reviews and original research articles on the most recent advances in analytical chemistry. All aspects of the field are represented, including analytical methodology, techniques, and instrumentation in both fundamental and applied research topics of interest to the broad readership of the journal. Current Analytical Chemistry strives to serve as an authoritative source of information in analytical chemistry and in related applications such as biochemical analysis, pharmaceutical research, quantitative biological imaging, novel sensors, and nanotechnology. An online submission and tracking service via Internet facilitates a speedy and cost-effective submission of manuscripts. Manuscripts and the full thematic issues must be submitted online via Bentham's Journal Management System (JMS) at https://bentham.manuscriptpoint.com/journals/cac/ View Submission Instructions. References, figures, tables, structures, etc. should be referred to in the text at the place where they have been first discussed. Figure legends/captions should also be provided. A successful electronic submission of a manuscript will be followed by a system-generated acknowledgement to the principal/corresponding author. Any queries therein should be addressed to info@benthamscience.net. It is mandatory that a signed copyright letter also be submitted along with the manuscript by the author to whom correspondence is to be addressed, delineating the scope of the submitted article, declaring potential competing interests, acknowledging contributions from authors and funding agencies, and certifying that the paper is prepared according to the 'Instructions for Authors'. All inconsistencies in the text and in the reference section and any typographical errors must be carefully checked and corrected before the submission of the manuscript. The article should not contain any such material or information that may be unlawful, defamatory, fabricated, plagiarized, or which would, if published, in any way whatsoever, violate the terms and conditions as laid down in the copyright agreement. The authors acknowledge that the publishers have the legal right to take appropriate action against the authors for any such violation of the terms and conditions as laid down in the copyright agreement. Copyright letter can be downloaded from the journal's Web site. Download the Copyright letter. Bentham Science has collaborated with the Copyright Clearance Center to meet customer’s licensing, besides rights & permission needs. 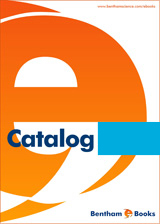 The Copyright Clearance Center’s RightsLink® service makes it faster and easier to secure permission from Bentham Science’s journal titles. Simply visit Journals by Title and locate the desired content. Then go to the article’s abstract and click on “Rights and Permissions” to open the RightsLink’s page. If you are unable to locate the content you wish to use or you are unable to secure the rights you are seeking, please e-mail us at permissions@benthamscience.net. The journal publishes peer-reviewed full-length / mini-review articles and research articles written in English. Single topic/thematic issues may also be considered for publication. These special issues are peer-reviewed and may contain invited or uninvited review/mini-review articles. A Single Topic Issue Editor will offer a short perspective and co-ordinate the solicitation of manuscripts between 3-5 (for a mini-thematic issue) to 6-10 (for full-length thematic issue) from leading scientists. Authors interested in editing a single topic issue in an emerging field of analytical chemistry may submit their proposal to the Editor-in-Chief at thematicissue@benthamscience.net for consideration. The abstract of an article should be its clear, concise and accurate summary, having no more than 250 words, and including the explicit sub-headings (as in-line or run-in headings in bold). Use of abbreviations should be avoided and the references should not be cited in the abstract. Ideally, each abstract should include the following sub-headings, but these may vary according to requirements of the article. The background should state the problem and why current methods are not effective. Specify the study hypothesis or the primary objective of the study. Make sure that this statement aligns with the identified challenges. Because we receive a large number of submissions, note that editors may use this information to reject without further peer review a manuscript that does not address a significant analytical problem. A graphic should be included when possible with each manuscript for use in the Table of Contents (TOC). This must be submitted separately as an electronic file (preferred file types are EPS, PDF, TIFF, Microsoft Word, PowerPoint and CDX etc). A graphical abstract, not exceeding 30 words along with the illustration, helps to summarize the contents of the manuscript in a concise pictorial form. It is meant as an aid for the rapid viewing of the journals' contents and to help capture the readers’ attention. The graphical abstract may feature a key structure, reaction, equation, etc. that the manuscript elucidates upon. It will be listed along with the manuscript title, authors’ names and affiliations in the contents page, typeset within an area of 5 cm by 17 cm, but it will not appear in the article's PDF file or in print. The main text should begin on a separate page and should be divided into title page, abstract and the main text. The text may be subdivided further according to the areas to be discussed, which should be followed by the List of Abbreviations (if any), Conflict of Interest, Acknowledgements and Reference sections. The Review Article should mention any previous important recent and old reviews in the field and contain a comprehensive discussion starting with the general background of the field. It should then go on to discuss the salient features of recent developments. The authors should avoid presenting material which has already been published in a previous review. The authors are advised to present and discuss their observations in brief. For Research Articles, the manuscript should begin with the title page and abstract followed by the main text, which must be structured into separate sections as Introduction, Materials and Methods, Results, Discussion, Conclusion, Ethics Approval and Consent to Participate, Human and Animal Rights, Conflict of Interest, Acknowledgements and References. We do encourage to append supportive material, for example a PowerPoint file containing information about the study, a PowerPoint file containing additional screenshots, a Word, RTF or PDF document showing the original instrument(s) used, a video, or the original data (SAS/SPSS files, Excel files, Access Db files etc.) provided it is inevitable or endorsed by the journal's Editor. Luthy, I.A. ; Bruzzone, A.; Pinero, C.P. ; Castillo, L.F.; Vazquez, S.M. ; Sarappa, M.G. Adrenoreceptors: non conventional target for breast cancer? Curr. Med. Chem., 2009, 16(15), 1850-1862. Geidl, W.; Pfeifer, K. Physical activity and exercise for rehabilitation of type 2 diabetes. Rehabilitation, 2011, 50, 255-265. Jakeman, D.L. ; Withers, S.G. E. In: Carbohydrate Bioengineering: Interdisciplinary Approaches, Proceedings of the 4th Carbohydrate Bioengineering Meeting, Stockholm, Sweden, June 10-13, 2001; Teeri, T.T. ; Svensson, B.; Gilbert, H.J. ; Feizi, T., Eds. ; Royal Society of Chemistry: Cambridge, UK, 2002; pp. 3-8. All authors must strictly follow the guidelines below for preparing illustrations for publication in Current Analytical Chemistry. If the figures are found to be sub-standard, then the manuscripts will be rejected. Authors will receive page proofs of their accepted paper before publications. To avoid delays in publication, proofs should be checked immediately for typographical errors and returned within 48 hours. Major changes are not acceptable at the proof stage. In case of inability to send corrections within 48 hours due to some reason, the author(s) must at least send an acknowledgement on receiving the galley proofs otherwise the article will be published exactly as received and the publishers will not be responsible for any error occurring in the published manuscript. No page charges will be levied to authors for the publication of their review articles. For published research articles, however, for a contribution of 4 published pages or less, a page charge to the contributing author of US$ 47 will apply; and for additional pages, US$ 13 per page will be charged. For more information please contact the Editorial Office by e-mail at cac@benthamscience.net. Current Analytical Chemistry publishes expert reviews and original research articles on the most recent advances in analytical chemistry. All aspects of the field are represented, including analytical methodology, techniques, and instrumentation in both fundamental and applied research topics of interest to the broad readership of the journal. Current Analytical Chemistry strives to serve as an authoritative source of information in analytical chemistry and in related applications such as biochemical analysis, pharmaceutical research, quantitative biological imaging, novel sensors, and nanotechnology. Editors will accelerate the review and publication of highly innovative research manuscripts. To reduce the workload on our reviewers, non-competitive manuscripts and studies that are not suitable for the journal will be returned to the authors promptly so that they can submit their work to other journals. Manuscripts that report minor improvements in HPLC and titration methods, or optimization of adsorbents, will receive low priority. 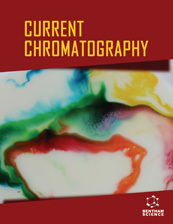 Current Analytical Chemistry Journal was launched in 2005. Dr. Samuel Achilefu serves as the Editor-in-Chief of the journal.